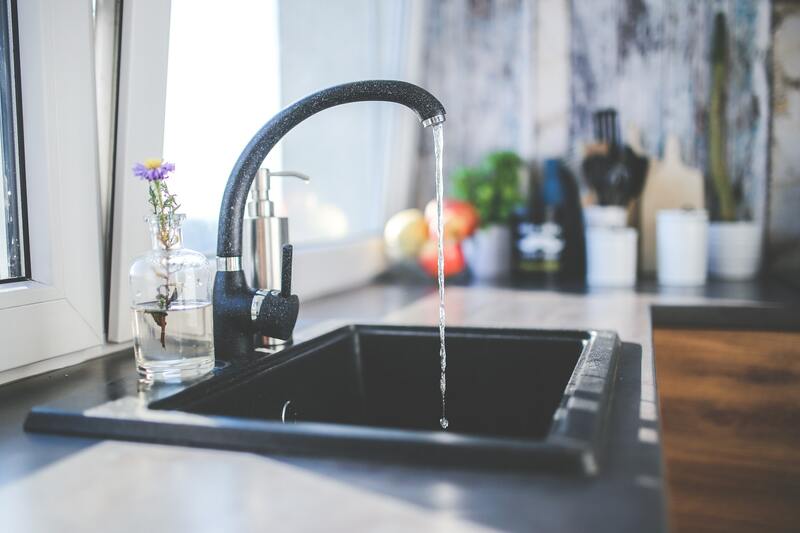 A few plumbing skills can come in handy if you ever find yourself staring at a clogged kitchen sink or a leaking faucet, especially when a plumber is unavailable. You certainly do not require special training or tools to sort out small issues – common kitchen ingredients or easily available tools are all that you need to fix little plumbing problems. Here are six simple hacks that will help you sort out minor issues without panicking. Clogged sinks are probably one of the most frequent issues faced in homes. Shun those chemicals, and clear your clogged sink naturally. Pour hot water down the sink, follow it up by sprinkling ½ a cup of baking soda. Mix equal portion of hot water with one cup of vinegar and pour it down the sink. And you are done. Simple, wasn’t it? Most faucet leaks are caused due to washers and O rings and a replacement will do the trick. You will need a wrench and washers, O rings that need to be replaced. Keep a few spares tucked away in your home, for a leaky day. Remove the decorative cap on the faucet and use a wrench to open the packing nut. Remove and replace the washer. Fix the cap back in place, and you’re done. Showerheads with less pressure could most probably be an indication of scale collecting on the insides of the showerhead. Turn off the water and remove the showerhead with an anti-clockwise unscrewing action. Soak the portion that sprays the water through nozzles or holes in white vinegar for a couple of hours. Gently scrubbing with a brush, refix and enjoy your shower. An object of value that falls into a commode can actually be easily retrieved. Commodes have S or P traps and your object will be lodged there, if you have not flushed repeatedly. Take a wet vacuum cleaner, remove the filter and affix the crevice attachment. Insert it into the commode, and push gently until as far as it can go and turn on the suction. Take care to double check that you do not turn the blower on. Your object will get sucked onto the container. That is just about it. If you’ve been tugging at the kitchen sink sprayer hose every time you need to use it, it indicates entanglement. Cover the hose and pipes with foam insulation available in all hardware stores and the pipes will never get entangled. A cheaper option would be to use tape, if you do not mind the slightly messy look. Twin sinks have spaces between them, resulting in vibrations and gong sounds. Just fill the open spaces between the twin sinks with expandable foam. Let the foam harden and level off with a sharp knife or blade. Shut out the vibrations and noise every time you use the sinks. Remember, that complex issues definitely need professional services. If it is beyond you, quickly turn off the water supply and cut the power to any low-level electricity sockets around the leak. If you can get to the main valve that controls the water to your home, it would greatly help. Remember that when you tighten faucets or shower caps, use just the right amount of pressure and never over tighten, as it can result in damage to the grooves.